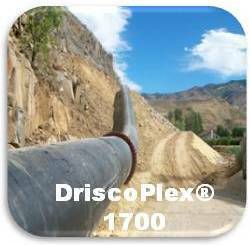 For HDPE pipe solutions, DRISCOPLEX continues one of the leading providers of robust solutions. The 1700 Series Mining Stripe Pipe is produced from the highest rated material (PE4710 resin) which is recognized for being durable and resistant to abrasion and chemicals. The 1700 Series fully complies with ASTM D3035 or ASTM F714 for 3″ IPS (90 mm) and larger pipe product standards. Do you have questions about DRISCOPLEX HDPE pipe? One of our team members will be happy to help you determine the right pipe for your project needs.